Eating may be the furthest thing from your mind when your body is withdrawing from alcohol, but alcohol affects how your body metabolizes and utilizes nutrients, making eating an important part of your recovery. Initially, you may not be able to eat much, but as your symptoms improve, it's important that you eat a balanced diet that includes a variety of foods from all the food groups to replenish nutritional deficiencies. Alcohol withdrawal may cause a variety of different symptoms, including fatigue, anxiety, depression, loss of appetite, nausea or vomiting. Symptoms, which usually last 24 to 72 hours, may impair your ability and desire to eat. Alcohol is dehydrating, which may worsen your ill feelings. If you can't eat, be sure to drink plenty of fluids to help rehydrate and rid your body of the alcohol toxins. In addition to water, juice, broth, ice pops and gelatin are good choices for rehydration from alcohol withdrawal. As tolerated, you should resume solid foods and start eating a balanced diet. Even if you ate well while drinking, alcohol impairs protein digestion and fat absorption, which impacts nutritional status. A balanced diet includes a variety of foods from all the food groups in the right amounts to meet your calorie needs to maintain a healthy weight. It is a diet that includes plenty of fruits and vegetables; whole grains; lean sources of protein, such as poultry, fish or beans; and low-fat dairy. Eating a variety of foods from all the food groups helps ensure that your body gets all the essential nutrients. In addition to affecting protein and fat in your diet, alcohol also inhibits your body's ability to absorb a number of B vitamins, including thiamin, folic acid and vitamin B-12. Make sure you fill your diet with food sources rich in these nutrients to help improve health. Good sources of thiamin, which assists with converting carbs into energy, include eggs, beans, peas, nuts and fortified breads and cereals. Folic acid and vitamin B-12 are necessary for making new cells. Eating more leafy greens and fruits can up your intake of folic acid, while meat, eggs and milk are good sources of vitamin B-12. If your body can't absorb fat, then it's not absorbing the fat-soluble vitamins A, D, E and K. Vitamin A plays a role in eye and immune health; sources include fish, milk and carrots. Vitamin D is important for bone health, and drinking fortified milk and eating fatty fish such as salmon can help your body meet its needs for this vitamin. Vitamin E is an antioxidant that protects your healthy cells from damage; good sources include vegetable oils and almonds. 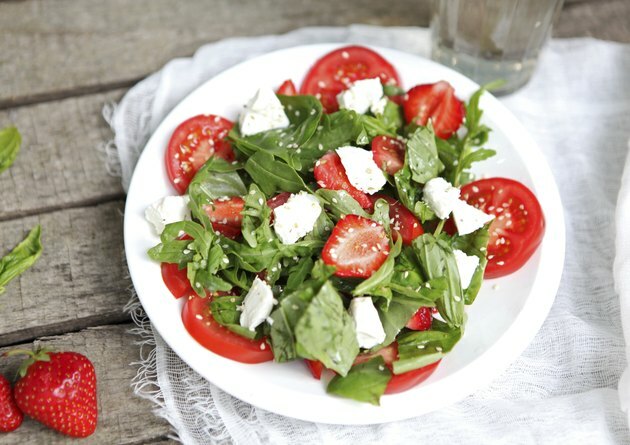 Good choices for vitamin K, which is necessary for blood clotting, are leafy greens and olive oil. Deficiencies in minerals, including calcium, iron, magnesium and zinc, can also occur from drinking too much alcohol for a long period of time. Calcium and magnesium are both important for bone health. Dairy foods and leafy greens are good sources of calcium, while whole grains, nuts, fruits and vegetables can help you meet your magnesium needs. You need iron to transport oxygen throughout your body. Meat, beans and raisins can help you meet your iron requirements. Zinc assists with wound healing and immune health; beef, beans and almonds can help replenish zinc in your body.